Pronczuk J, Bruné Rossel MN. Fetal/environmental origins of adult disease. 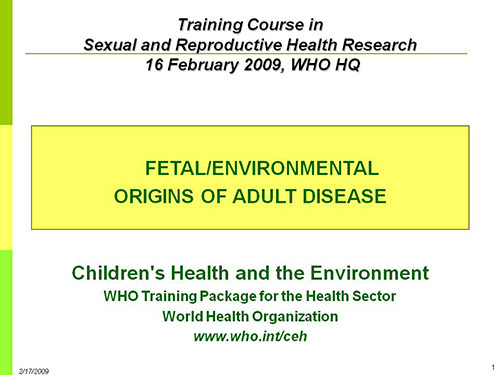 Paper presented at: Training Course in Sexual and Reproductive Health Research; 2009 February 16; Geneva.